Just received my first briar from pipesandcigars.com. A Roma Select Apple. First bowl was Hearth & Home Burly Kake. Could not believe how smooth and cool the smoke was compared to my MM Cob. I am hooked. 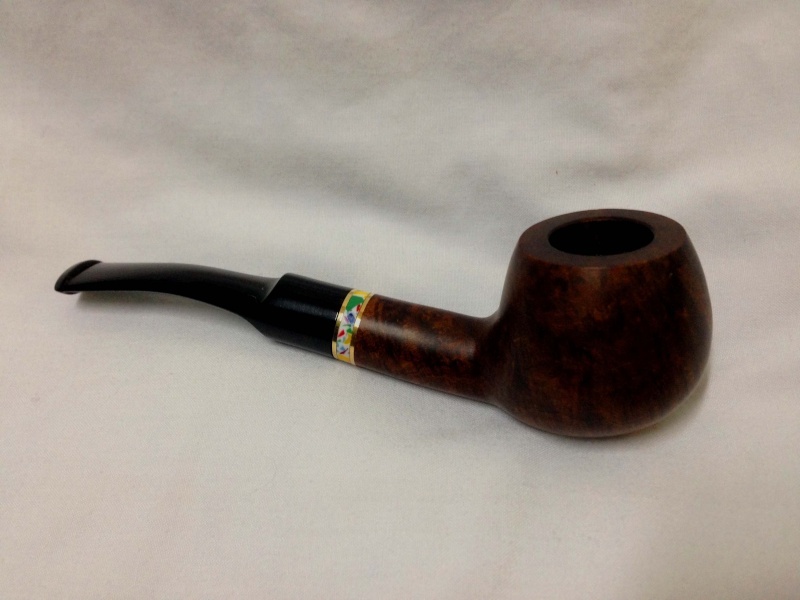 That is a nice looking pipe, glad to hear it is treating you well. Roma makes good pipes, I owning one myself. Glad you started using briar! Congrats and it's a good looking pipe. Congratulations! That first smoke from a briar is always special. Beautiful pipe too! Congratulations! She is a beauty. Cobs have their place, but there is nothing like a briar. Savinelli is undoubtedly one of the best Factory made pipes for sure. Glad to see that you have added to your rack. But don't ever give up on the cobs IMO they smoke as well as some of my finest briars.